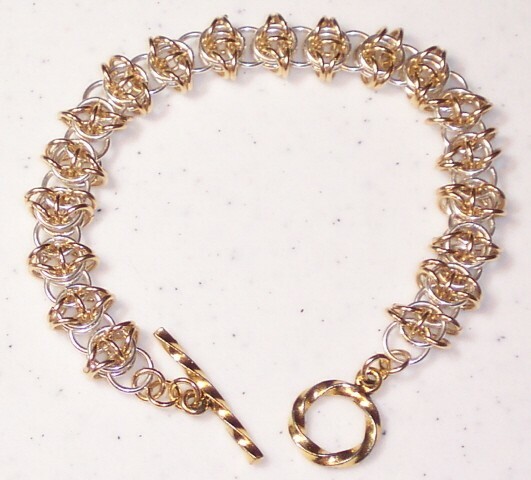 The Celtic Visions Bracelet is very stunning. It is pretty in one color or as a two tone as shown in the picture. This bracelet will bring many compliments your way. It is a bit more challenging and is an intermediate weave. The clasp is not included in the kit.